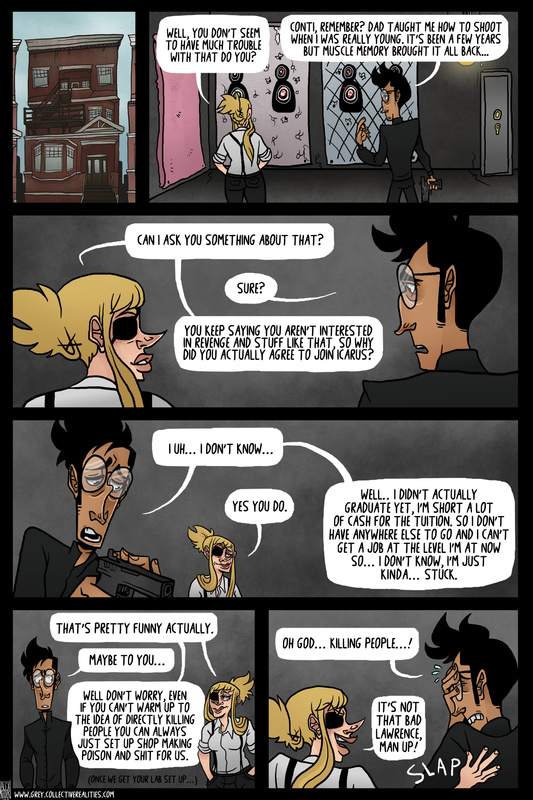 In which Lawrence surprises us all with his competency regarding guns. There’s a bit of that Conti blood in him after all. GREY finally has a PATREON ACCOUNT! 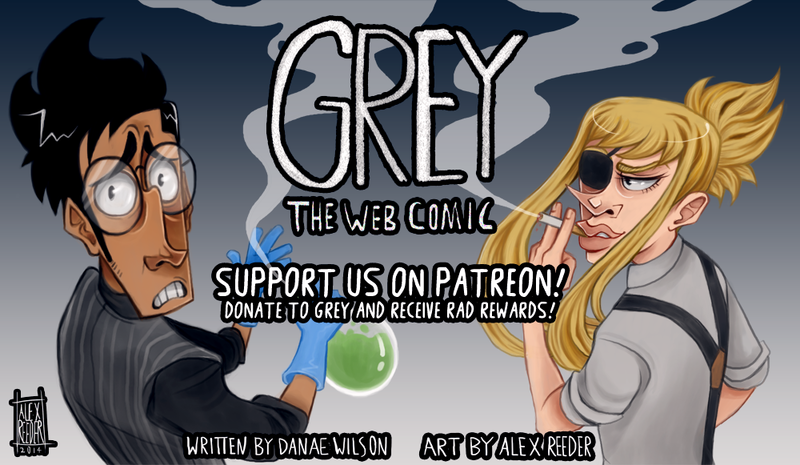 If you enjoy the work we do please consider donating so we can make GREY everything we want it to be! Up next, cooking with Lawrence! I’m just waiting for Lawrence to quit being a pansy and become a hardened criminal. He seems so… innocent and uncorruptable. “KILLING ISN’T SO BAD LAWRENCE HA HA”chloe….pls….